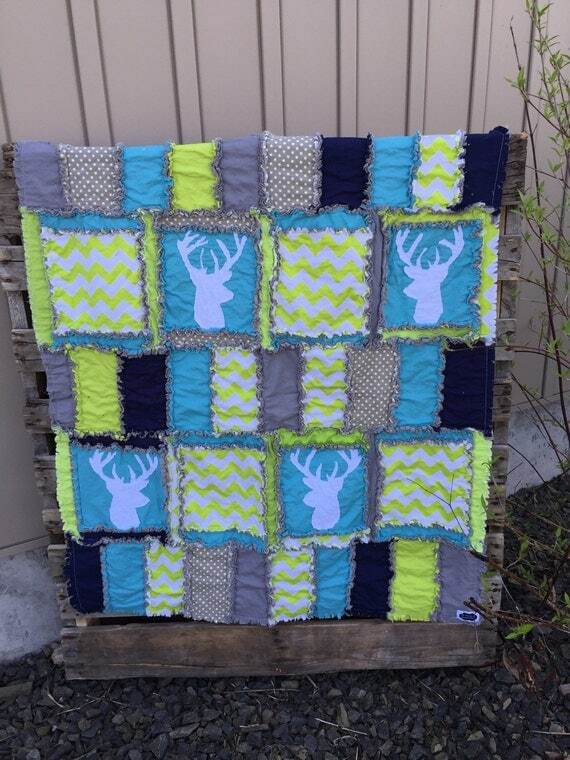 Ever since I made the first Deer Silhouette Rag Quilt Car Seat Tent I have been wanting to make a rag quilt to match. 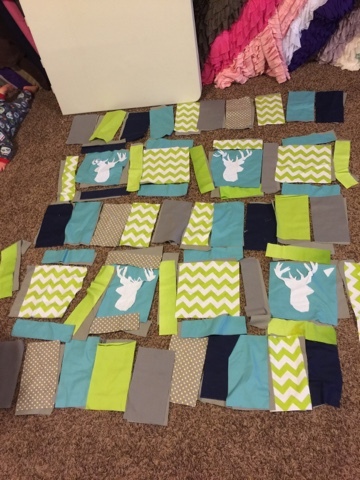 But ya know, between being a mom, church duties, keeping up with the shop, and starting to sell my rag quilt patterns as hard copy versions to quilt shops around the world, I've been going a little crazy and haven't had a chance to make one. Thankfully, the sweetest customer asked me if I could make her one! 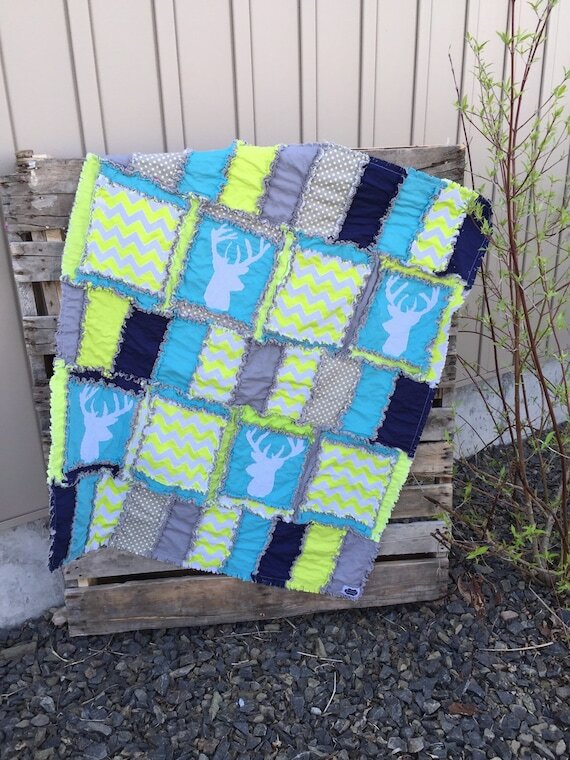 I can't tell you how excited I was to make this lime green Deer Silhouette Rag Quilt for her! Isn't it just darling! I am not a fan of hunting in general. I don't have anything against it. I just don't want to do it, nor do I necessarily want to decorate with it. I actually eat elk that my husband brought home from one of his hunting trips. I really like it, plus its pretty darn healthy compared to what I can get in the store! But I digress. As soon as I started to cut this quilt out, I about died! 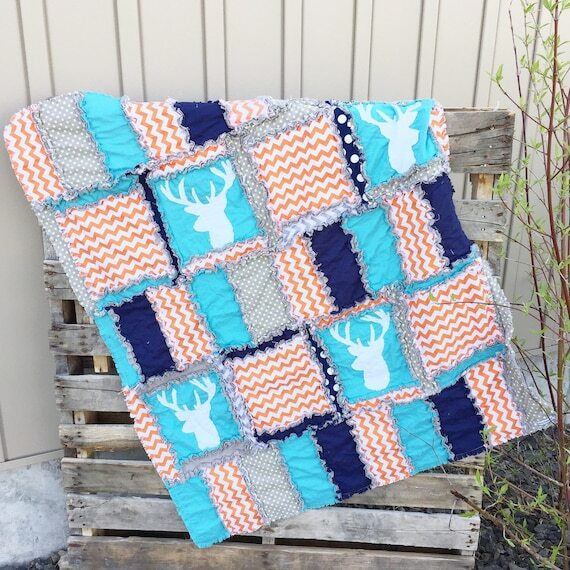 I was loving the color scheme, and I also really liked the deer on this quilt. I would even use it for my own little baby boy. Plus, my husband would REALLY like to pack his little boy around with it. Then, I kid you not, the next day, another lady approached me and wanted the same quilt, but with orange instead of green. 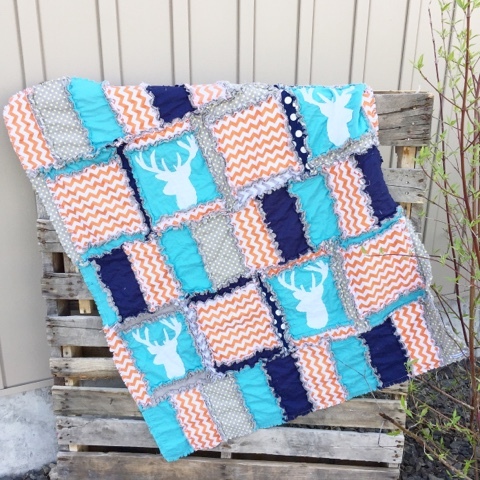 I can't tell you how excited I was to make this quilt too! I love both versions! They are both absolutely darling, and not your usual, boring baby boy themed crib bedding. Like normal, whenever I do a custom order, I ALWAYS send the customer a picture of the quilt laid out before being sewn. 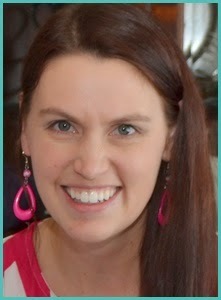 That way, if they want anything changed, then I can make the changes before sewing the quilt together. Once its sewn, it is nearly impossible to make any changes to the quilt, aside from starting over.